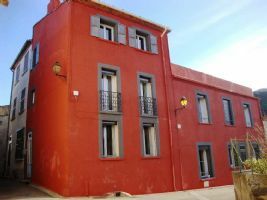 French Property Bargains in 2018 - Two For One! Home > Essential Info > Property in France > French Property Bargains in 2018 - Two For One! The past few years have been difficult, financially, and we just have to accept that. In times of uncertainty and austerity, everyone has to watch the pennies. It can be tough. But, there's an upside. The world is full of bargains right now, and the property market is no exception. 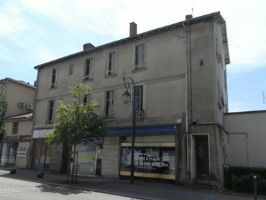 The French property market has bargains galore, even offering two or more properties for the price of one! We're all used to seeing the promotions in the supermarket. "Buy One, Get One Free", the adverts tempt us. It's a well known sales technique often known as BOGOF. It usually applies to low cost household items, and buyers love it because you really do get more for your money. But, it's rare to see this kind of offer on high value things like property. Houses are simply worth too much to give away. But, in France, in 2018, you really can find properties for sale where you get two or more houses for the price of just one. The most obvious attraction of a two for one property is that you simply get more for your money, of course. But, there are other advantages too. Once you move to France you will quickly realise that you are far more popular then you ever were in the UK! Suddenly, friends and family want to come and spend their holidays with you. Nice as this is, it is also wonderful to be able to let them have their own guest accommodation, so that you can get on with your own normal life instead of constantly cooking and cleaning for guests! 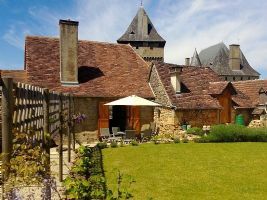 Another big advantage of buying a two for one property in France is that you can recoup some of the original costs of the purchase by letting out the spare property as a gite (Owning Gîtes and Chambres D'Hotes (B&Bs) in France). Both properties can be completely independent of each other in many cases. 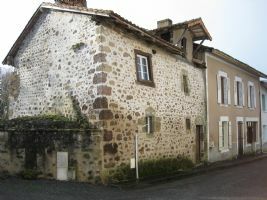 So if you like the idea of buying two or more French properties for the price of one, (and who wouldn't?) take a look at the selection we've made below. All are really great value for money. It's just what you want to find in 2018.
Business opportunity in Bellac a town which is situated to the north-west of the Haute-Vienne department of Limousin, It is a small market town with a long history based around the leather tanning industry. 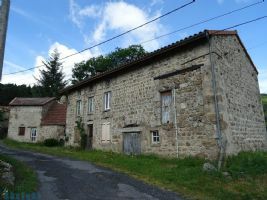 Sextant Exclusive - Two Traditional Style Farms To Be Renovated - Stone Buildings - Barns - Jasserie Style Roof On One Of The Buildings - Water - Edf - Garage And Garden - Beautiful View - Full Of Charm And Character Saint-anthème Is A Commune In The Puy-de-dôme Department In Auvergne In Central France. The Village Is Crossed By A River Named 'l'Ance. Saint-anthème Also Presents A Touristic Interest With A Lake And A Ski Station For Winter Sports. 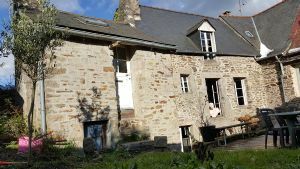 RARE opportunity to buy a pair of stone houses in central Dinan, one habitable and one to renovate completely. These sunny south-facing properties are tucked away in a peaceful location, on a historic cobbled street. They are just a few minutes level walk along quiet streets to the very centre of Dinan. The properties have been in the same ownership for the last 28 years and have provided many happy holidays. 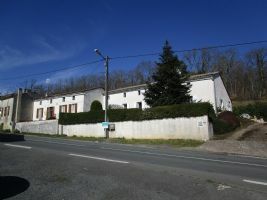 Charming village property that could be divided into 2 houses if desired. The house is tucked down a lane, just next to the village church in Videix 10km from Rochechouart. Well here we have 2 interconnect-able houses for the price of one, with an enormous roof terrace, cellar, large attic to convert and 2 vegetable gardens close by. One property is partly completed to a very high standard whilst the other is in need of renovation, although the double glazing and electric shutters are already installed in both. A simply wonderful investment opportunity with mountain views just a few minutes from all the amenities in St Paul de Fenouillet no brainer! Two for the price of one, plus an income! 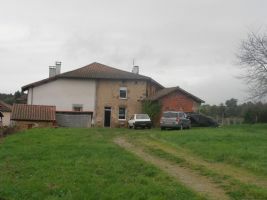 Two interconnecting split level houses, a barn and outbuilding in a large garden (3024m²). The house and barn on the village road has a 48m² living/dining room with a fireplace at both ends (heat ducted to next level), tiled floor, corner sink/bar area and understairs laundry/shower room + WC(10m²). Up a level off the wide landing is a large bedroom with built in mirrored wardrobe and parquet floor; large bathroom with corner bath, shower, double handbasin and separate WC; stairs to 80m² attic. An engraving over a cellar door dates the property to 1655! 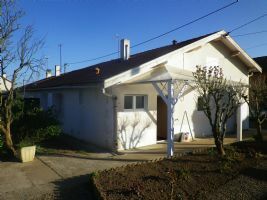 Two semi-detached properties on the edge of Mirambeau. With a total of 235m² habitable space with a combined garden of 4390m². The first house is immediately habitable with: kitchen, living room, office, two bedrooms, bathroom and wc. Upstairs, shower room with wc and bedroom. Garage. Second house in need of some updating with: two bedrooms, lounge, kitchen, shower room and wc. Within easy reach of all amenities.